At the recent 2019 Golden Globe Awards, there was a hideous display of pharmaceutical propaganda. This PR stunt, void of all informed consent or medical privacy, and mixed with public shaming if you dared to decline this year’s “flu shot”, was certainly the most cringeworthy moment on live TV we’ve seen in a LONG time. Oh, if skipping the flu shot were just that easy! We are just a few short weeks into the 86th Texas Legislative Session, and we have learned that the opposition has put in writing that one of their priorities is to require your child to receive a flu shot every year, whether you like it or not. While the flu shot is not currently a required vaccination for Texas school children, a bill with this language would prohibit parents, who otherwise follow the CDC recommended schedule, from practicing their right to refuse the flu shot for their children. These parents, according to the GGA announcers, are now “anti-vaxxers” for passing on this one recommended (but not required) shot. In addition to school children, health care workers are also being coerced into complying with yearly flu shots by threat of being shamed in the form of wearing masks at all times while on duty. While there is absolutely no evidence that masks are an effective way to stop the spread of flu, hospitals have threatened their employees that the consequences of refusing the flu shot will result in having to wear the mask or be terminated from employment. You can see how they want to spin this narrative and frame those who choose to forego this shot as “anti-vaxxers” in an effort to shame them into conforming to their agenda. Here are 4 ways you can personally help US protect YOU and your family. 1- Join TFVC: www.texansforvaccinechoice.com/join (membership is fast, free, and secure). 2- Like/follow our page: https://www.facebook.com/TexansForVaccineChoice and actively engage on our posts by liking/commenting/sharing. 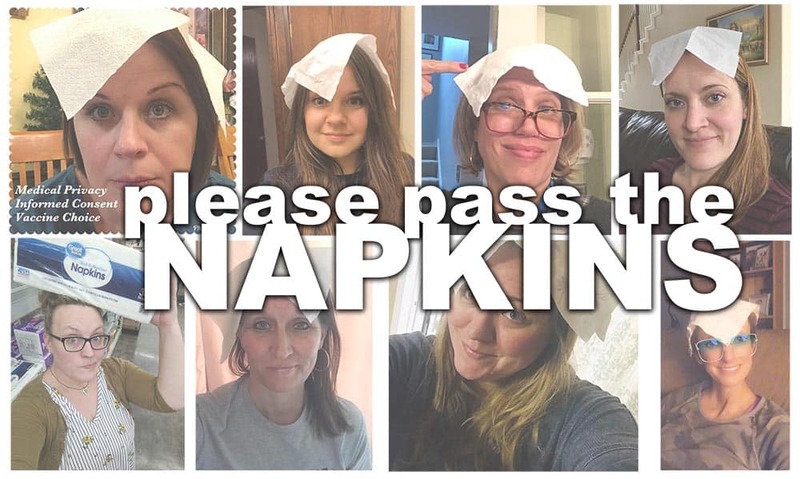 So please pass the napkins! It’s not “anti-vax”; it’s called Vaccine Choice. My body. My Rights. My Choice. These know nothings are just shills for Big Pharma in pushing this—the most useless and ineffective of all Vaccines. They probably don`t even remember [or never knew] that in the 1970`s Hundreds of Senior Citizens and others died from the Swine Flu Vaccine– Not the Swine Flu—from the Vaccine. How soon these fools forget.